Only Detective Michael Bennett stands in the way of two lethal cartels fighting for New York City's multi-million-dollar opioid trade. And they know where Bennett, and his family, live. An anonymous tip about a crime in Upper Manhattan proves to be a setup. An officer is taken down--and, despite the attackers' efforts, it's not Michael Bennett. New York's top cop is not the only one at risk. One of Bennett's children sustains a mysterious injury. And a series of murders follows, each with a distinct signature, alerting Bennett to the presence of a professional killer with a flair for disguise. 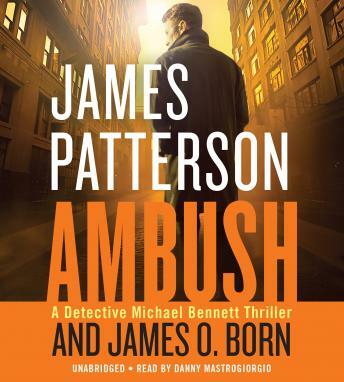 Bennett taps his best investigators and sources, and they fan out across the five boroughs. But the leads they're chasing turn out to be phantoms. The assassin takes advantage of the chaos, enticing an officer into compromising Bennett, then luring another member of Bennett's family into even graver danger. Michael Bennett can't tell what's driving the assassin. But he can tell it's personal, and that it's part of something huge. Through twist after twist, he fights to understand exactly how he fits into the killer's plan, before he becomes the ultimate victim.